In the Middle Ages, monks sat at tables carefully copying the scriptures. The father superior would make the assignments, perhaps giving the illuminated first page of a section to the most skilled artist, perhaps assigning the proofreading tasks to the elderly scholar with trembling hands. Little has changed in centuries - supervisors assign work, perhaps based on training, skills, and experience, to various resources. At first the resources were only people, eventually supported by tools such as typewriters, printed forms, and adding machines. Eventually some of the steps were automated - the invoices were automatically totaled and printed, but only after people sorted the punched cards, or entered the data. Even though the performance of the work was at least partially automated, the management of the work had changed little - supervisors assigned work and monitored performance. Clerks passed the work from station to station. Lists were made to track the work - to find it when it went astray, and to measure the productivity. And an army of expediters searched for the problems and errors in the routing, and kept it moving. In the last 15 years or so we finally have developed tools to not only do the work, but to manage the workflow. More than just procedural documents, that workflow process is defined formally in the workflow computer system. The process is managed by a computer program that assigns the work, passes it on, and tracks its progress. The workflow process is traditionally defined in office terms - moving the paper, processing the order, issuing the invoice. But the same principles and tools apply to filling the order from the warehouse, assembling documents, parts, tools, and people to repair a complex system, or manufacturing the complex device. Work doesn't get misplaced or stalled - expediters are rarely required to recover from errors or mismanagement of the work. The managers can focus on staff and business issues, such as individual performance, optimal procedures, and special cases, rather than the routine assignment of tasks. The army of clerks is no longer required to deliver and track the work. The procedures are formally documented and followed exactly, ensuring that the work is performed in the way planned by management, meeting all business and regulatory requirements. The best person (or machine) is assigned to do each case, and the most important cases are assigned first. Users don't waste time choosing which item to work on, perhaps procrastinating on important but difficult cases. Parallel processing, where two or more tasks are performed concurrently, is far more practical than in a traditional, manual workflow. With the best person doing the most important work following the correct procedures, not only is the business conducted more effectively, but also costs are lowered and the service to the customers is generally better. With the work equitably distributed and the confidence that they are always working on the "right" thing, users are happier. Therefore workflow provides benefits for all parties involved - for the company, it's employees, and it's customers. Although most people talk of moving work between people, it could also be moving work between machines, between departments, or even between enterprises. Therefore the more general terms "resource" or "participant" are sometimes used to describe the person, group, or machine that is performing the work. A simple workflow system could evenly distribute work among all the available resources, or follow a simple algorithm such as giving the waiting work to the resource with the shortest queue, or implement assignments made manually by a supervisor. However, there are often significant benefits when the system can optimize the assignment of the work. In order to do the assignment, the workflow management system must know who or what is available to perform the work, and have a profile about each user. This might include what work the resource is qualified to do, how good they are at that type of work (can they only do routine processing or can they handle the toughest cases), and whether the supervisor wants the work to be assigned to them. A supervisor may bias an automatic assignment for many reasons. A person many nominally be qualified for a type of work, but has made a large number of errors recently - the cause needs to be found and corrected. A person that is not feeling well may be able to handle fewer or simpler cases rather than "taking a sick day." A person who will be going on vacation may be given simpler work that can be completed before they leave, or may not be given any new work at all, so they can finish any cases "in process." These exceptions don't prevent the majority of work from being automatically assigned, with optimization, in most shops. In addition to knowing the qualification of each resource, the system also needs to know about the work waiting to be assigned. What types of work are waiting? What needs to be done for each item (what skills or tools)? Is some type of work more important than another? Generally a priority is calculated, based on the type of work and how long it has been waiting to be processed. "Assembly Line" or "Once and Done"
Much work, even office procedures, can be processed in an assembly line, where each step in the process is simple and specialized. One person may enter data. The next person may check the data. The next may retrieve the customer's credit bureau rating. A computer may automatically retrieve the current customer status - recent orders, accounts receivable, etc. When all of the information has been consolidated, a specialist may evaluate whether to extend the credit and accept the order. And so forth. Most of the steps are simple. Training is minimized. Staffing is often flexible, because few steps require specialized skills, authority, or licensing. However, an effort is required to move the work between steps, time is lost waiting at each step, and there are more chances that the work will be lost or misplaced. The other approach, equally popular among the experts, is to have highly trained staff handle the complete process, once and done. Far more training is required, with corresponding delegation of authority, but there is far less overhead in the work process itself. When the work is managed manually, once and done is generally superior, because there is less overhead and chance for error. But with an automated work management system, either approach can be used. The work management system tracks the work, dramatically reducing the overhead of the assembly line process, with one remaining disadvantage. The elapsed time to complete the work (as seen by the customer) may be longer with the assembly line if a queue is allowed to build at each step in the process. Therefore in practice, a blend seems to be best - separate people to enter data and proofread, to reduce the chance of errors, with total automation of any step where that is practical. But minimize the number of steps where practical, to reduce the time waiting in queue, and thus reduce the total time of service. Once there is a system that tracks the multiple steps, perhaps not all of the steps need to be done sequentially. Manual systems often include a checklist or routing slip that accompanies the work, thus sequential processing is the easiest way, by far. The limitations of the checklist go away with an automated workflow system. Thus most systems allow multiple tasks to be assigned and performed concurrently, with a function to determine when all the parallel paths are complete, so the consolidated part of the workflow can continue. One of the tougher steps in the paper-processing world is waiting for a supporting document to arrive. For example, an application may be received, but a medical or credit report must be ordered and received before the application can be considered. In a small organization the application may be held on the desk of the person who will make the decision. In larger organizations the problem is harder since the recipient cannot remember every case, or there may be multiple people who could make the final decision. The documents need to be filed, and each arriving document that could satisfy a requirement needs to be checked that something isn't waiting for it. A list must be maintained - a tickler system - to trigger a follow up, if the missing information doesn't arrive in a timely manner. Most automated work management systems support the automatic matching of incoming information to the work that is suspended, waiting for the arrival of that information. The systems also manage the follow-up processing when the information does not arrive on time. The most common name is probably "rendezvous" but some systems call the process "marriage" or other terms. There are a variety of methods to distribute the work to the participants. Work may be preassigned, and then selected from the "in-box" by the user. The user may look through a common queue and "pull" the desired work. The user may ask the system to select and assign the most appropriate piece of work - to "push" an item of work. Or the work may be assigned based on "time." Why would each of these be considered? If someone receives a telephone call, "I sent you a letter last week, and I need to change�" the work needs to be found. It doesn't matter whether it has been completed, it is waiting to be processed, or someone is working on it. (Remember the difficulty of finding the letter when it could have been on someone's desk - especially if there are hundreds of people who could have handled the letter?) Once it is found, the work must be assigned to someone qualified and authorized to handle it - normally to the telephone representative who "pulls" the work. The ideal way to distribute work is to let the work management system assign the work, following the rules to optimize that distribution. Sometimes called "Send Work," "Get Work," or "Assign Work," in each case the system pushes work to the participant. Some people argue that work should be manually assigned - for example, so that a premium customer always gets their favorite representative. However, if that representative is unavailable (or too busy), the premium customer gets poorer service. The work management system can automatically track the availability and backlog of each participant, and should be set up to optimize even these cases. Many organizations want to use an "inbox" paradigm because it is familiar - it was used for years with paper. Placing all "new" work in someone's inbox is far from optimum - the systems that have used this approach usually have complex procedures for removing the work when someone else "pulls" it or is idle and available to process it. However, it does make sense for specialists who are the only person who can handle a case, or who must complete processing that they have already started on a larger case (such as an insurance claim). Sometimes work is driven by time - "I will be out of my meeting at 3 pm - please call me back then." The work needs to be suspended, but wake up and be assigned at 3 pm, whether it is pushed to the next available participant, returns to the person who suspended the work, or is simply an alarm to someone reviewing his or her inbox. One function of a workflow system is to get the work to the right person or process - to move the work through the organization. This is sometimes called "horizontal" workflow. Normally a case consists of multiple tasks - programs, portions of programs, or manual steps - performed at each step in the workflow. Therefore another possible workflow function is to see that all the tasks are completed - the "vertical" workflow. A senior person might be given the assignment, "review this order" without detailed instructions on how the review should be performed. A beginner may need to be given the assignment, "to review this order, perform the following 10 steps. 1) Look up the customer using�." While managing the individual tasks at each step in the workflow, some systems automatically invoke the various computer systems that are used. Some workflow systems even change the way the tasks are assigned based on the experience of the person performing the work. When the work is completed, the normal conclusion is to change the status (from waiting for decision to either approved or rejected, or from waiting for input to ready for checking). Each workflow product has its unique way to move the work to the next step in the process - not all use the term "status." But what if the processing isn't complete? The work may need to be suspended for the arrival of more information (triggered by an outside event) or for a follow up (try calling again this afternoon). Most workflow systems also allow the workflow to be changed to accommodate exceptions. To pass the work to someone else for a consultation or special approval, and then resume the normal workflow process. Many organizations are concerned with the complexity of interfacing the workflow system to the business application, or even feel the need to integrate workflow with the application. On the contrary, there are many levels of potential interface. Workflow can be used with no interface to the legacy processing systems. These systems were often built in the days when work would be delivered by a clerk, as a stack of paper, in an in-box. No interface to the in-box was required for processing. If a work management system rather than a clerk controls the work, there is still no requirement for an interface. As each item is processed, the system is routinely invoked. The legacy processing system is used "side-by-side" with the work management system. The work management system must know the key identification of the work, such as the contract number, so that items of work can be located and special conditions can be honored. When the users know that a particular type of work always starts by invoking the same program, and entering the same data, and the work management system has that information, it seems like extra work is required - the users are unhappy. In practice, a minimal interface, to invoke particular programs and enter key data (perhaps using techniques as simplistic as screen scraping) is popular with users, inexpensive to implement, and contributes to productivity. A number of business application vendors have seen the advantage of workflow, and want to be sure that advantage is available to the users of their product. Therefore they have embedded a basic workflow in the business application. As discussed later, if the users only process a single application, it is possible that the embedded workflow approach, where the application drives the workflow, is sufficient. In practice, most users today must support multiple applications - perhaps an order entry system (or several systems for different product lines), a billing and accounts receivable system, a customer information system, a correspondence system, and others. Therefore it may be more practical to have a workflow system that invokes the appropriate legacy computer system, rather than having one legacy system invoke workflow. In that case, the independent workflow system will drive the applications, rather than the application driving the workflow system. EAI, or Enterprise Application Integration, the consolidation of numerous application systems, is often directly or indirectly involved in workflow. Work management systems are often installed in conjunction with document image systems. If the paper is scanned and only the image is used, there needs to be some way to identify the documents that need processing, when, and by whom. Those are the functions of a work management system, although for the simplest cases, a rather simplistic work management system may be sufficient. Likewise, image systems often are installed in conjunction with work management systems. If there are paper documents involved in the workflow, it doesn't do much good to make an assignment and then have to search for the paper. On the other hand, if the necessary information is available in another form, there is no requirement for an image system with every work management system. Therefore we should conclude that although image and work management systems often go together, and often bring synergistic benefits to the other, neither requires the other in all cases. Workflow systems typically record the processing history, and provide the opportunity for the users to enter comments. The history typically includes the date, time, person where each step was performed, including the disposition of the step - for example, was the process approved and moved on in the workflow, or was the work suspended for later processing. If the work is suspended, documentation of why it is suspended is needed. For example, "More information is required, and I called and got their voice mail" has far different implications than "I went to lunch." Once this special capability is provided, then there are numerous other things this can be used for, such as explanations of variances and special circumstances. The automated log of who/how/when the work was processed is a substantial advantage, improving the record of what was done and when, while eliminating the manual logs that are often used to find documents and recover from routing errors. Messages are often received - "What is the status?" or "Change my request" or "Cancel the order." A work management system must not only manage the work in process, but must also identify the work so that it can be found. Not only must it know that this is a queue of 200 orders, but it must be able to find a specific order in that queue. And once the order has been found, we must be able to determine the status of that work. If it has been completed, should we start some reversing action? For example, do we need to reverse the transaction or authorize a return? If it is currently being processed, should the call be transferred? Or is it idle but in mid-process, such as waiting for a credit report? Maybe it is not appropriate to disclose all the details, but at least we know what is happening. If it has not yet been processed, am I qualified to handle the case (probably yes, or I wouldn't have taken the phone call). Therefore should I "pull" the work (as discussed above), select it to be assigned to myself (so that somebody doesn't start processing while I am working on it), and complete the process while working with this customer? One of the big advantages of an automated work management system is the control of the process, manifest by the procedures that are implemented by the system, and the record keeping to report on the process. In some systems the control is focused in the users - the work is largely table driven, with the tables maintained or controlled by user-oriented staff - perhaps supervisors, senior users, or others with a user background. In other systems the workflow application is tailored to the requirements of the organization by a programming staff, in the information technology area. The customized workflow system is optimized for the application, at the expense of flexibility for "instant" changes. In either case, the user profiles - qualifications, assignments, absences, vacations, training, and other factors are maintained by the system. Managers need to be able to manually assign work to an individual - perhaps because they made an error and need to fix it, or perhaps because it is a special case that they are uniquely qualified to fix. Priorities must be adjusted to move critical work to the head of the list. Practically all systems include reporting and analysis such as the total work accomplished - the volume, and the turn-around time (the response time as seen by the customer). The systems also maintain data to report the productivity of the individuals, teams, and groups. A few systems even maintain data about the number and types of errors that are caught and corrected for each type of process and user. Work management systems allow managers to examine the backlog of work throughout the day - in real time - so that they can schedule staff as required, adjust assignments if necessary to meet deadlines, and in general, manage their teams. A few systems even let the managers set alarms - for example, "notify me if the number of complaints exceeds 3, or if the total number of items to be processed is greater than 450." This is far better than the clerk having to constantly count the unassigned work, or noticing that the stacks are getting too big. The automated work management system provides far better management control of the work. The benefits of a work management system can be put into three categories. The direct cost savings are readily measured and recognized. But there is another set of benefits that are real and valuable but very difficult to measure, sometimes called the hidden savings. And still more benefits where the value cannot be quantified - the intangible benefits. These are the readily measured benefits. Often they involve better use of staff, or reduction of the staff. How much clerical time is involved in sorting and delivering the work? How much clerical or supervisor time is spent assigning the work to particular individuals? And how much of the processing is really logging that a particular piece of work was received at a certain time, or that it was completed and sent on to�? Less training is required. An automated work management system can move information through an organization, without an employee having to understand the entire organization, or even the whole work process - only their part. And a vertical work manager - a task management system - can guide a user through a series of steps and programs, reducing training needs even farther. With the control of a work management system, the work can always be found. It can't be buried in a desk drawer, when it is a tough case that "I'd rather handle later." It can't "accidentally" be discarded, without a record of who touched it last. If it is accidentally sent to a wrong place, it can still be located and recovered. A staff of "expediters" to find the missing work and move it through the organization is not required. The direct savings from installing a work management system (or an image system with a work management system) are primarily related to the reduction of the support staff. Those savings can be substantial, but often don't quite cover the cost of the system. We need to look farther. The hidden savings are actual cash savings, but those that are far harder to measure. For example, better control of the work, savings of manager time, improved productivity of the professional staff, and the opportunity for process improvement. What is it worth to have the best person handle each item? Remember that the best person for a simple task may be the newest (lowest level) person in the department. One of the problems of manual work management was that the most experienced people were also expert at finding the easy work, making their productivity look even higher. Yet they are the ones who should be handling the hardest cases that a beginner might struggle with for a long time. Have you ever searched the paper in your in-basket, to see what was waiting for you? And after processing the first item (probably not the top item), have searched again for that "other interesting case?" Have you ever skipped an item that you will "come back to later?" And has "later" ever become the next day? A work management system that pushes work, one item at a time, assures that the first item presented is the most important. If it needs to be deferred, fine, but the history of the transaction will show that it was deferred, and perhaps record the reason. Experts in workplace satisfaction and time management emphasize that the best way to work is to put one item on your desk, do it to completion if possible, then move to the next. An automated work management system can present work in this way. The most important work is done first. The hard cases can't get buried. And experience has shown that users can find working with such a system very satisfying. How much does it improve productivity? How many problems are eliminated because important work is done first, and hard cases aren't deferred? Those factors are hard to measure, but the benefit is real. What do your managers do today? Do they make every work assignment? Do they review work for quality? Do they report on the quantity and timeliness of the work performed? Do they have time to counsel employees, or even process the tough cases themselves? With the automated assignment of work, automated data collection for reporting, and fewer problems such as lost work, one group was able to expand the span of a supervisor's control from eight people to 20 people. And the supervisor was able to spend more of her time counseling the employees, improving their skills, and helping with the tough cases, rather than routine reporting and making assignments. By many definitions, professional work cannot be measured - it is work that varies from case to case, requiring judgment, rather than a routine operation. How can we estimate productivity, much less project a productivity improvement? One of the earliest workflow systems involved credit card adjudication - investigation of whether a charge could be valid. After collecting data from the cardholder, the record is examined for clerical errors, and then the merchant is contacted to provide evidence. After the merchant responds, the expert decides whether to enforce the bill, or to issue a credit (recovering the funds from the merchant). Every case is different - a different story, different evidence, and different judgments. Prior to a work management system, the experts averaged 10 cases per hour. Six weeks after installing a work management system, the experts were averaging 13 cases per hour. Certainly individual cases could take a variable amount of time, but averaging a large number of transactions indicated a 30 percent productivity improvement. Considering a large number of workflow installations, the 30 percent productivity improvement is pretty common. After quoting that figure many times, some companies were disappointed to only get 28 percent (even though that is a great improvement, and very close to 30 percent), so a conservative number might be 20 percent improvement, just due to the automation. Poor procedures are often characterized by many steps for no apparent reason, or lots of logging to prove innocence (assign blame), or lots of expeditors to keep things moving and handle special cases. Workflows like this have obvious process improvements that often lead to professional productivity improving 50 percent or more. And with a thorough redesign or reengineering of a bad process, 100 percent improvement - doubling the amount of work processed - is not unusual. Sometimes a process should be completely taken apart and redesigned - reengineered. This is an expensive process and traumatic for the users but has the potential of the greatest improvements - like tearing down a house and rebuilding it. More often, an existing process can be dramatically improved - even though the changes may be substantial, the users can usually recognize the process and migrate to the new process with far less training. With dramatic process improvement or reengineering, a work management system may allow new procedures that would not be possible in a manual system. For example, mail entered early in the morning on the East Coast of the United States might be ready for processing by the time U.S. West Coast users arrive. And the work left by the West Coast users can be migrated to Asia and Europe for further processing by morning. Tasks that were sequential to be manageable can now be processed in concurrent parallel steps. There are a number of benefits of work management that most people cannot quantify. Unlike the hidden benefits that are real and, with enough effort, can be quantified, it is rare that a cash value can be assigned to improved service, employee satisfaction, organizational options, security, and privacy. If any of the areas have a quantified value in your company, great - that factor can simply be added to the direct or hidden savings listed above. If the most important work is distributed to the first available qualified person, and they have access to all the information required to handle the case, this service is as good as it can get. With manual work management, the user might casually select a work item, and struggle to find the data, get any necessary authorization, and perhaps procrastinate - saving the tough case for later. In the early work management systems, there was fear that the users would be oppressed by being directed by a computer - being told what to do. The actual experience was just the opposite - users were more satisfied. Workplace experts recognized that the optimum work environment was to select the one most important piece of work (doing the right thing), and complete it (feeling a sense of accomplishment), before moving on to the next item. At the same time, the employees were given some control - if they received a huge task at quitting time, they could save it until morning; if they didn't understand or weren't qualified to handle something, it could be passed on to a supervisor to be reassigned. The employees have been given that ideal environment, and enjoyed it. A business that was an early user of workflow wanted to decentralize for a variety of reasons, but was concerned about how the work would be processed. There could be tax advantages by performing certain work in a particular location, while economies of scale dictated that other work should be done centrally. A new, smaller office might lack the size to absorb peak loads among a small number of specialists. Management was concerned about the difficulty of moving work between offices - and how much would be "in the pouch" in transit to the other office whenever it was needed. The automated work management system gave them the confidence to proceed. In the same organization, a year or so later, the central management noticed that there were many thousands of letters waiting for processing in the regional office. It didn't matter whether it was because of inadequate staffing, too many trainees, or an exceptional peak in their workload, much of that work could be handled by "anyone." The home office staff members were assigned to do the routine work from the field office, as time allowed, along with their regular work. The regional office concentrated on the work that required their special knowledge. Within one week, with no overtime, the entire backlog of work was caught up. Many felt that the savings in overtime and employee stress from events like that alone might have justified the work management system. A different company was growing rapidly, and realized that they would soon be out of space - just before their seasonal peak. Half the people needed to be moved to a new location, miles away. Since work could be routed to specialists at either location, all the support organizations did not need to be replicated. The facilities were procured, furniture, computer, and network were installed, and the staff transferred in only a few months. Their management credited the work management system with making the move possible in record short time, with minimal disruption. Only authorized users can access work and the associated data. High profile customers (such as celebrities or even other employees) can be handled by a small group of selected representatives. Medical records can be secured, and only routed to those with a need to know, without extraordinary office procedures to protect the documents. If a user is assigned a hard case, they must handle it - or pass it to someone who can. Work cannot just disappear. The automated audit trail (history) leaves an indelible record of who had been assigned each step in the work, when, and what happened to it. One company (that checked the trash to be sure no work was discarded) noticed a decrease in plumbing problems after the workflow system was implemented. For many years, business analysts and authors categorized workflow systems. Although such categories have fallen into disfavor, they are still instructive - they may help understand the differences between various systems. Negotiation - for example, "can you review my document by Friday?" Acceptance - for example, "no, but how about by Monday afternoon?" Assignment - delegating the work to the reviewers. There might be multiple people doing the review concurrently, and as soon as all of them approved the document, it might be routed to the next step - perhaps management or legal. Review - was all the work done and approved. If not, how do I handle rejections or incomplete processing (reviews)? This type of workflow is tremendously convenient, and provides good control of the process (what is the status of each step, who did what when, where is the work now). The ad-hoc workflows are often built on an e-mail platform (using mail messages to deliver the work). However, if the mailroom gets 500 insurance claims today, we don't want the mailroom to negotiate with the claims adjusters about who should handle each claim. Appraise the damage and arrange for the repair of each vehicle. Handle any bodily injury for each party involved. Settle any property damage, such as repairs to the fence that was hit. Salvage - sell what is left of the car that was destroyed. Subrogation - get the party that actually caused the accident to pay the losses. The production workflow can be very simple (deposit these funds) or complex like the auto claim described above. They can be completely predefined, or follow a general procedure, with additional steps and processes added as required. They can be altered for questions or consultations. Normally it has a dedicated delivery channel, rather than using e-mail to deliver the work. Overall the production workflow system provides control of the process, and substantial productivity - thus it save costs. A third type of workflow is sometimes listed, called administrative workflow. This is a cross between the ad-hoc and production. The flow is predefined, such as the steps required to place an order or approve an expense report. Sometimes the flow can be reviewed in advance or even altered (add a note asking my boss to endorse the exceptional expense). The delivery may be a blend between e-mail (to professional staff who only have a few cases each day, and are largely driven by the mail), and a custom delivery mechanism (the clerks in purchasing or accounts payable who do this work all day). Another useful segmentation of the workflow technology is sometimes called horizontal vs. vertical workflow. Horizontal workflow moves the work through the organization - from person to person, or to different departments or systems. Some people call the horizontal workflow "routing." It is the most common type of workflow. Once the work gets to a point in the organization, there may be several steps that are performed. The vertical workflow directs the processing at each step. It may automatically invoke computer programs, enter key data (known to the workflow system, such as account number), and may provide guidance for each step of the process - at least for beginners if not for everyone. If the vertical workflow system can invoke a program and enter data, couldn't it also do the entire process in some cases? The answer is obviously yes, in what some systems call "robotic" or "straight through" processing. For example, a change of address may be read by an optical character recognition system. When it is compared against the postal database of valid addresses, if there is a match, the confidence in the process may be so high that there may be no need for human intervention, or at most, there is a human "quality assurance" step. In some cases the workflow process is part of the business application. As previously noted, the value of workflow may be so great for an application that the vendor of that application includes workflow, so that "everyone" has it. Many of the embedded workflow systems are simple, but optimized for that particular type of use, so may be adequate. Since it is within the application, the user can't generally choose a different workflow, and sometimes find it difficult to disable the built-in workflow. In those few cases where somebody only works with one program, this may be the best solution. If users deal with many applications (as seems to be the normal case) then a separate stand-alone workflow application may be a better solution, rather than one built into an application. This separate system can be optimized for the total business requirement, rather than just one application. These separate systems support many business applications, and many types of use - for example, the workflow that may be installed on "most" desktops for order processing may also be useful for personnel records work, even though the requirements of personnel processing would not justify a separate workflow system. 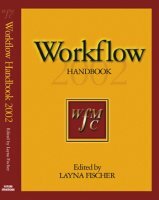 The Workflow Management Coalition (WfMC, see www.wfmc.org) exists to increase the value of a user's investment in workflow technology, decrease the risk of using workflow products, and expand the workflow market by increasing awareness. In addition to educational and publicity programs, another key function of the coalition is the development of international standards for interoperability of the various components of workflow. The workflow standards exist at three levels. The Reference Model is the big picture of how the standards fit together. The Abstract Specifications identify each of the functions required and what data is involved. The Bindings are the details of how the specification is implemented with a particular set of tools, formats, and protocols. For example, WF/XML is an XML binding of the interoperability specification that is Interface 4 of the WfMC Reference Model. The Business Process Management Initiative (www.BPMI.org) was recently formed to address the definition of the overall business process, inside and outside of an enterprise, from a business perspective. Their goal is to create an XML-based Business Process Modeling Language (BPML) that defines the process, and can then be automatically invoked. To many people, this is precisely the "Process Definition" part of workflow. Therefore the WfMC is working closely with BPMI (and other organizations) to coordinate the effort and consolidate the standards. Process definition. The procedures that are followed in implementing the workflow, and the resources (people, systems, groups) that perform the work. Sometimes the workflow is defined in separate modeling and simulation tools, and then the workflow is loaded into the engine through Interface 1. This also allows the workflow to be moved from one system to another. The WfMC Working Group 1 manages the interface for the process, and a separate Working Group 9 handles the resources - people, facilities, and inventory. Client interfaces - the way an application program invokes workflow, such as a request to get the next piece of work, or to complete the existing work. The Workflow Application Programming Interface, WAPI, combines the WfMC interface 2, where applications invoke workflow, and WfMC interface 3, where workflow invokes applications. This includes interfaces to and between legacy data systems - EAI or Enterprise Application Integration. It also often includes image systems, document management systems, and mail systems. Macroscopic processes, such as ordering a product or service from another organization, including placing, tracking, and completing or canceling the order. Microscopic processes, such as picking the individual items that constitute an order, either through an external manual system, or by interface to an automated warehouse system. Administration and monitoring involves both the history of each case and the monitoring of the total work performed. Overall workload includes the "snapshot in time" of the amount of work waiting to be processed and the status of the system, as well as the "history" that is used to report on overall productivity. A major financial services firm with about one million customers had 613 employees providing customer service, and procedures that involved 630 steps, many of them logging and tracking. The typical processing time for a request was one week. After implementing workflow, the number of steps was reduced from 630 to 270, the number of employees was reduced from 613 to 406, the number of customers increased slightly, and the typical processing time dropped from a week to a day. Far more important than the 34 percent staff savings were the customer satisfaction ratings that rose from one of the lowest in the industry to the top rating, where they stayed for several years. Another firm refused to comment, because workflow gave them a competitive advantage. However, they reported in Computerworld that they estimated their work management system returned $8 million per year, because their client base was growing over 20 percent per year, with no increase in staff. This gave them one of the lowest costs of service in the industry. An international insurance firm used workflow as a standard solution that they applied across all their subsidiaries. One division reduced their staff 40 percent while handling a greater volume of claims. At the same time they reduced the errors (improved quality) and improved the speed of service (thus virtually eliminating call-backs). Another division of the same international firm had a growth rate from 40 percent to 70 percent per year, compounded over several years. They could not hire and train the people or build the office space required, fast enough to sustain that growth. They installed a work management system, and were able to dramatically reduce the need for staff and training. A company in South Africa had a goal of providing service in 7-12 days, but was only meeting that goal about 90 percent of the time. When they installed the work management system, they reduced their staff by 33 percent, set their goals at 3-5 days, and met their goals nearly all the time. A company in the United Kingdom had a simple way to calculate professional processes - the number of new business applications per year per employee. Before workflow, they averaged 600 applications per employee per year. After workflow, they averaged 1,600 applications per employee per year. A company in Denver expected a staff reduction of 25 percent in the first year, and was disappointed when they did not achieve it. However, they did process a 50 percent increase in business volume with no increase in staff. There may be a variety of reasons to implement a work management system. Improvement of internal processes is the traditional first purpose. This might be to increase capacity (the amount of business processed) without increasing the costs. It might be to improve the quality of service. Or it might be to reduce costs in an industry that is not growing rapidly. It is important to know what you are trying to achieve - for example, increase work performed by existing staff, or reduce staff to do the same amount of work. However, it is rare that reducing staff means direct lay-off, since normal staff turnover is often comparable to the pattern of productivity improvement, as people become expert in using the workflow system. Managing processes between organizations is another potential use of workflow - issuing and tracking the orders for products and services from a second company, perhaps integrated with processes within the first company. Some of the new facilities for e-commerce have been established and integrated with work management tools. Information Services (the technical staff) start and manage some workflow projects. Users drive other projects. Either might be fine, depending on the corporate culture. However, in either case, executive sponsorship is important, both for the corporate commitment to organizational change, and the commitment to support the cost of the project. Most people consider the simplest approach to workflow to automate the current process, exactly as it exists. This may be a good starting point for discussion, and if the process has recently been analyzed, it may work well. However, generally it isn't the best, since there are typically a lot of activities that are no longer required, like logging and batching. Process improvement, at least to some degree, is usually in order when going to an automated workflow. Eliminate the record keeping of date stamping, logging, and tracking work. Cut out the effort looking for particular items. And take advantage of the ability to suspend work, automate the follow-up, run parallel processes, etc. Utilize the automatic assignment and optimization of the work - considering the priority of the work (based on type and age), and the qualifications of the workers. Full scale reengineering should probably not be considered just because a workflow system will be installed - most of the benefits could be achieved by simpler process improvements. On the other hand, if a process needs to be reengineered (because of the process, not because of workflow systems), then workflow is a great tool to include as part of the reengineering. Improves the quality of service, by responding more quickly, with the best person available. Lowers the cost of training staff, since the work can be guided through complex procedures. Lowers the cost of management, allowing a far wider span of control, while allowing the managers to concentrate on nurturing the employees and handling special cases rather than routine reporting and distribution. Improves user satisfaction, by giving the user confidence that they are doing "the best item" and giving them the satisfaction of completing that work with fewer conflicting requirements. Altogether that means that an automated work management system is good for the company, good for the customer, and good for the user. This document appears as a chapter in the book, "The Workflow Handbook 2002" edited by Layna Fischer. The 428 page hard-cover book contains 8 chapters such as this, plus case studies, reference materials, standards, etc. That handbook is also available on CD, which includes a video tutorial by Charlie Plesums. For more information on this or other editions of the book, or to order a copy (now at a greatly discounted price), go to the bookstore at Future Strategies, Inc..
©2002 by Charles A. Plesums, Austin, Texas USA. ALL RIGHTS RESERVED. If you would like to make or distribute copies of this document, a nominal royalty payment is required, as specified on www.plesums.com.